Ah, the first official day of summer. For procrastinators like me, it’s a signal that I need to start vacation planning in earnest. For an even bigger procrastinator, the FDA, the start of summer was the trigger for announcing (after a couple decades of dithering) its proposed new rules for sunscreens. 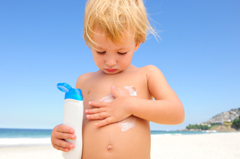 Sunscreen makers have long touted their products’ SPF, or sun protection factor. Sun worshippers look for the lowest SPF, heliophobes for the highest. What few people know is that SPF refers only to the amount of protection the product provides against the sun’s ultraviolet B (UVB) rays, and says nothing about protection against ultraviolet A (UVA) rays. UVB rays are the ones mostly responsible for sunburns; UVA and UVB together contribute to premature aging of the skin and skin cancer. Some sunscreens already claim to be “broad spectrum,” but these claims haven’t been closely regulated by the FDA. That would change under the new rules. 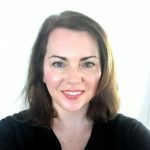 The FDA has posted videos covering why some sunscreens work better than others and offering advice on sun safety from FDA dermatologist Jill Lindstrom, M.D. Some exposure to sunlight is healthy. 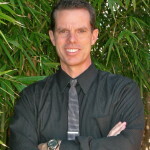 It helps set the body’s internal clock, makes vitamin D, improves mood, and more. Too much sun, though, can harm the skin, causing wrinkles and increasing the chances of developing the most common types of skin cancer—basal cell and squamous cell skin cancers. The connection between sun exposure and melanoma, a more deadly type of skin cancer, isn’t quite so straightforward. Protecting yourself from overexposure to the sun by dressing properly and using sunscreen is one way to keep your skin healthy. The proposed new rules for sunscreen will help you do this in two ways. 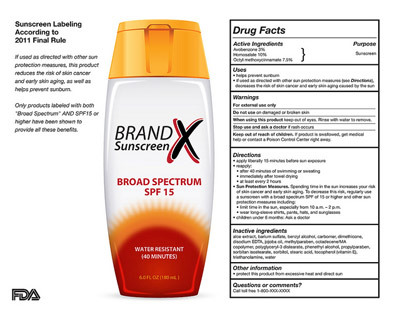 The FDA will require sunscreen makers to more thoroughly test their products, and the labels will indicate more clearly what the sunscreens can do for you. What you can do for yourself is apply sunscreen liberally, and often. Shopping for sunscreen: Are all brands equal? It’s tragic that the lie of sunscreen as a cancer-fighting agent continues in the world at large – depriving tens of thousands of people the essential life-saving benefits of vitamin D3. It’s even more tragic that supposedly reputable and venerable institutions such as Harvard are complicit in the lie. That’s absolutely a shame from a lot of well known institutions.